This car art is on fire. 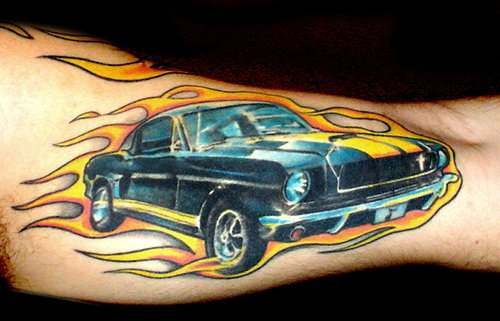 The dude must really love this Ford Mustang to get this tattoo. Clarkson finally gets the boot!